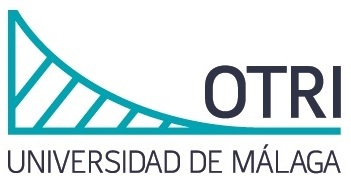 Research is one of the essential missions of a university, a right and a duty for academic teaching staff and investigators alike, laid down in the constitutions of universities in general and also in the very university statutes of Andalusia. Research is the driving force for the advancement of knowledge and keeps academics on a competitive level, which in turn raises the quality of research- and fundamentals-based education. Research nurtures the self-esteem of a university professor and strengthens his or her reputation. However, it can�t be ignored, that in recent years, research underwent an important, yet unexpected, development. General research results are now used as a means to establish a comparison between universities, as it had traditionally been the case for research achievements on a more personal level of academics and researchers, whose academic careers will continue to be judged based on their research achievements. On the other hand, one of the weak points of the European Higher Education Systems is the lack of a viable connection with the industry and the business world. In order to face this deficiency, the �Plan Estrat�gico de la Universidad de M�laga 05/08� and the �Plan Estrat�gico 09/12� include solutions to minimise this problem. One of them is the diversion of more influence to the �Oficina de Transferenc�a de Resultados de Investigaci�n � OTRI� (Office for the Promotion of Research Achievements) to become a pivotal infrastructural element in the communication with the business world and also to promote the entrepreneurial spirit among students, graduates and post-graduates, respectively. The presentation of this Technology Portfolio, offered in an electronic version and as well in a printed version, is part of the initiative to create a closer connection between public and private institutions. An initiative to unite forces in order to advance social progress in Malaga and Andalusia. The Technology Portfolio presents the lines of investigation of the research groups of the University of Malaga and the services they offer. The research groups are classified in concordance with their presentation in the Plan Andaluz de Investigaci�n � PAI.